Findings from a recently published clinical study may help doctors develop a highly accurate blood test to diagnose mesothelioma. In the study, researchers were able to identify which patients had mesothelioma and which had heavy asbestos exposure. They did this by testing the levels of a protein called HMGB1 in blood samples. Researchers have been trying to create new blood tests that can detect mesothelioma in its early stages. Patients usually have more effective treatment options if their disease is detected earlier. Researchers hope the potential HMGB1 blood test can improve a patient’s prognosis by detecting mesothelioma early. 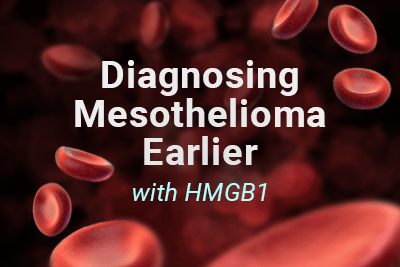 In a study completed earlier this year, researchers were able to differentiate between individuals with malignant mesothelioma and other groups of people based on the HMGB1 levels in their blood samples. Using HMGB1 measurements, researchers were able to identify which blood samples belonged to which group of people with 100% accuracy. The healthy controls had lower levels of HMGB1 than the other groups. Researchers discovered that HMGB1 is higher in malignant mesothelioma patients than individuals with chronic asbestos exposure. The tumor stage of a malignant mesothelioma patient didn’t alter the results in HMGB1 testing. Currently, there are three different types of blood tests for diagnosing mesothelioma. All three of these tests use different types of biomarkers to detect asbestos exposure. Unfortunately, the current blood tests used for diagnosing mesothelioma, don’t show much accuracy on their own. Due to this inaccuracy, they are paired with a biopsy for confirmation. Mesomark – measures levels of soluble mesothelin related peptides (amino acids) in a patient’s blood. A mesothelioma patient has higher levels of these amino acids in their bloodstream. Cancer Antigen 125 – works with the immune system. Little is known about the purpose of this antigen. Traces of this antigen can be found in both healthy individuals and mesothelioma patients. However, a mesothelioma patient has higher concentrations of it. These antigens are measured from blood or fluid taken from the lungs. Fibulin-3 – protein tested for in a patient’s blood. It is found in a plasma that’s in blood and fluid taken from the lungs. At the moment this process is still being researched. If the HMGB1 test can prove its 100% accuracy in clinical trials, it will be more accurate than any of the existing tests. Researchers have also tested the pairing of the HMGB1 test with the fibulin-3 test. In their findings they’ve discovered that both blood tests work better together in diagnosing mesothelioma. 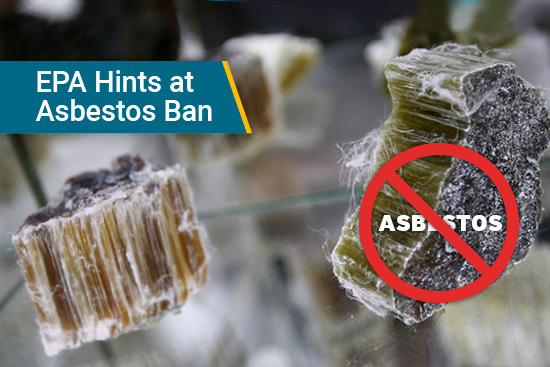 Researchers believe that testing for the HMGB1 biomarker will enable detection of asbestos exposure in individuals. By being able to detect asbestos exposure levels, a patient can be diagnosed with mesothelioma earlier. 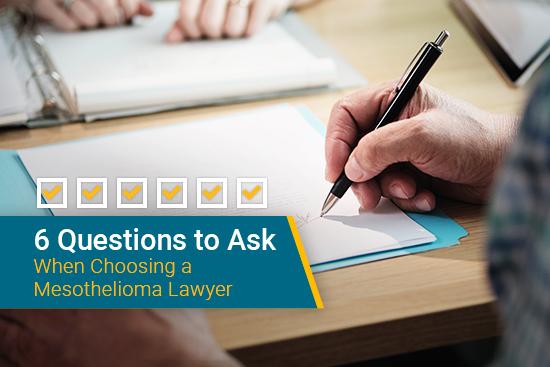 Typically a patient isn’t diagnosed with mesothelioma soon enough, which limits the treatment options that they can receive. However, researchers believe that the HMGB1 test can change this. If this test can help diagnose mesothelioma early, this will allow patients to participate in treatments that they might not have been able to participate in before. HMGB1 and Its Hyperacetylated Isoform are Sensitive and Specific Serum Biomarkers to Detect Asbestos Exposure and to Identify Mesothelioma Patients. Clinical Cancer Research. Retrieved from: http://clincancerres.aacrjournals.org/content/22/12/3087. Accessed: 09/06/16. Association between an elevated level of HMGB1 and non-small-cell lung cancer: a meta-analysis and literature review. Dovepress. Retrieved from: https://www.dovepress.com/association-between-an-elevated-level-of-hmgb1-and-non-small-cell-lung-peer-reviewed-article-OTT. Accessed: 09/06/16. What are the risk factors for malignant mesothelioma?. American Cancer Society. Retrieved from: http://www.cancer.org/cancer/malignantmesothelioma/detailedguide/malignant-mesothelioma-risk-factors. Accessed: 09/06/16. Serum HMGB1 as a prognostic marker for malignant pleural mesothelioma. BioMed Central. Retrieved from: http://bmccancer.biomedcentral.com/articles/10.1186/1471-2407-13-205. Accessed: 09/06/16. The Role of HMGB1 in the Pathogenesis of Mesothelioma. Grantome. Retrieved from: http://grantome.com/grant/NIH/R01-CA160715-04. Accessed: 09/06/16. HMGB1 Gene (Protein Coding). GeneCards. Retrieved from: http://www.genecards.org/cgi-bin/carddisp.pl?gene=HMGB1. Accessed: 09/06/16.